Four notable keynotes spoke at the inaugural event of the Fossil Free Canada Convergence that took place Nov. 7 to 9 at Concordia and McGill universities. The event, which focused on the growing divestment movement calling for the shedding of income and profit from fossil fuels, brought together students and activists from all around the country and gave them a chance to discuss and collaborate on climate change and environmental justice. The divestment movement, not only active at Concordia but also on nearly 30 campuses across Canada, calls for responsible investments by educational institutions. 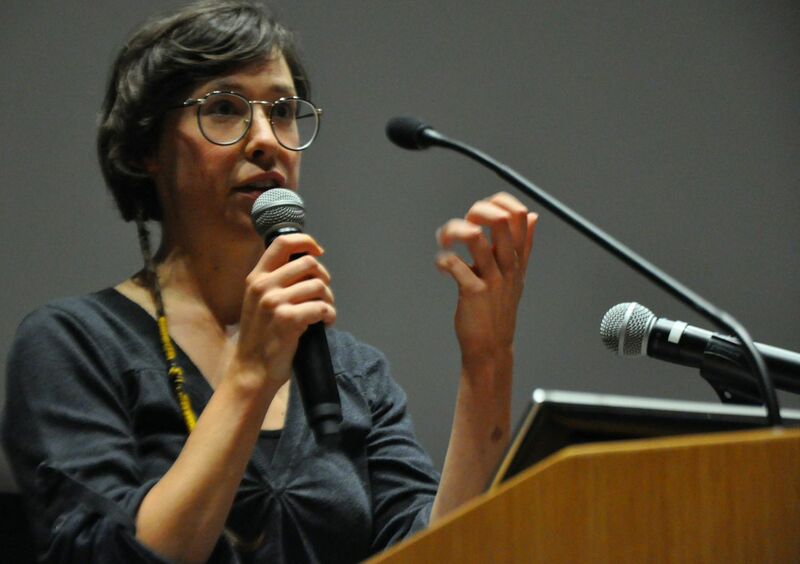 The event united four women activists intimately involved in different but connected movements such as aboriginal rights, climate change and the divestment effort. It was led by the Canadian Youth Climate Coalition and supported by both the Concordia Student Union and the Student Society of McGill University. Denise Jourdain, an elder representative of the Innu community of Uashat mak Mani-Utenam and active participant in various aboriginal rights movements like Idle No More, opened the event. She presented parts of her memoir and spoke about aboriginal identity and culture, and on the conflicting governmental policies over their traditional territories. She went on to talk about her own experience with the ever-present judicial issues surrounding the uncertain rights of the aboriginal community, going so far as to share a personal moment about her weakened mother’s desire to relate to her ancestral culture. Throughout, Jourdain underlined the importance of preserving the various and very distinct aboriginal cultures. Following her was native youth-focused activist Heather Milton-Lightening, currently working as the co-director of the Indigenous Tar Sands Campaign out of the Polaris Institute. Milton-Lightening strongly advocated active participation of youth in the activism process, notably on aboriginal-related issues. Her testimony about her difficult childhood with foster parents and her teenage years in Winnipeg served as an example of a generation that was subject to past and present controversial Canadian policies. Alyssa Symons-Bélanger, an anti-pipeline activist who has participated in and organized events around Québec, talked about the array of projects she has been involved with, like the Marche des Peuples de la Terre Mère. Symons-Bélanger also recalled her background in theatre and defined what is known as theatre of the oppressed, a type of theatre that looks at people involved in power struggles against oppressors. The Cabaret Olé Oléoduc, a play aimed at protesting pipeline projects, was cited as a good example of this type of theatre. Finally, climate and energy campaigner for Sierra Club Canada Crystal Lameman addressed the crowd, and talked passionately about issues relating to land use and exploitation by Canada’s government and private companies over the years. She encouraged people to think about how to challenge such institutions who, as she put it, “keep making stupid decisions.” This call to action on the part of Lameman closed the keynote speaker’s event and set the tone for the rest of the Fossil Free Canada Convergence. For more information on the divestment campaign in Concordia, visit divestconcordia.org.